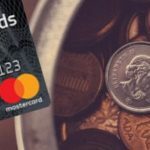 Looking for the best credit cards in Canada? Whether you want cash back, rewards, miles, low interest or no annual fee, we we make it easy to find a great option for your next credit card. We examine and evaluate all the lenders we work with to find you the best offerings on the market, no matter what you value in a card. Enjoy a low 8.99% interest rate on purchases. Have the flexibility to pay your balance in full or over time. 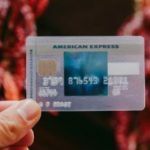 Optional Balance Transfer Offer – Enjoy a 1.99% interest in first 6 months of Cardmembership if you choose to transfer your other credit card balances to this American Express card. Balance Transfer option is only available at time of online application. There is no balance transfer fee at time of application. Access to memorable experiences with American Express Invites™. Shopping coverage and 24/7 Customer Service. No annual fee for additional card. Missed payment applicable rates, 23.99% on purchases and 26.99% on funds advances. Features and Benefits: purchase protection and extended warranty. Travel accident insurance. Earn 1.25 Blue Sky Points for every $1 in purchases charged to the Card. You can start redeeming with as little as 10,000 points towards any travel purchase charged to your Card. Enjoy the convenience of no blackout dates, no advance purchase requirements, no seat restrictions and no travel restrictions. You can use Apple Pay on your eligible device to pay for goods and services at participating American Express contactless merchants. Features and Benefits: Travel accident insurance. Welcome Offer: Get 6% cash back on gas, office supplies and cell phone/internet bills for 4 months. Get 1.5% cash back on eligible gas stations, office supplies purchases and on yourcell phone and internet recurring payments. 1.75% cash back at Shell®. 0.75% cash back on all other card purchases. Optional Employee Cards - empower employees with delegated purchasing authority. Use your card at Costco locations across Canada. Our Liability Waiver Program protects your business against employee card abuse. Get cash advances at any BMO Bank of Montreal branch or at more than 1 million ATMs worldwide. Plus get double the Miles on every purchase at participating AIR MILES Partners. Get 1 reward mile for every $20 in credit card purchases. SPC discounts (Student Price Card Ltd.) of 10% to 15% at hundreds of your favourite stores. Welcome Offer: No annual fee for the first year. 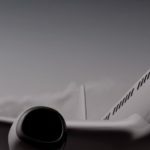 Get up to 3,000 AIR MILES Bonus Miles plus a Companion Flight rebate. Earn 1 AIR MILES Reward Mile on every $10 you spend. Plus – earn 1.25X the Miles when you use your card at participating Shell stations. Welcome Offer: Get a 3.99% introductory interest rate on Balance Transfers for 9 months*, 1% fee applies to balance amounts transferred. Enjoy our lowest interest rate of 11.9+% on purchases and cash advances. Free extended warranty and purchase protection. Zero Dollar Liability: protects you from unauthorized use of your credit card. Worldwide acceptance at over 30 million locations. Features and Benefits: Purchase protection and extended warranty. Welcome Offer: Get 35,000 welcome points (after you spend $3,000 in the first 3 months). Get 3 BMO Rewards points for every $1 spent on travel, dining and entertainment purchases. Complimentary membership in Mastercard Airport Experiences provided by LoungeKey, with exclusive VIP access, plus four annual complimentary passes. Get 2 points for every $1 spent everywhere else. Points you can use to cover all flight charges & taxes. Fly on any airline, with no blackout dates. Best-in-class travel and medical insurance (unlimited trips per year). Features and Benefits: Purchase protection and extended warranty. Baggage insurance. Flight delay insurance. Rental vehicle insurance. Travel medical insurance Trip interruption or cancellation insurance. Travel accident insurance. Welcome offer: Get up to 4% cash back on every purchase in your first 4 months and a 1.99% introductory interest rate on Balance Transfers for 9 months, 1% fee applies to balance amounts transferred. Get 1% cash back on all other card purchases without restrictions. Receive a discount on car rentals. Welcome offer: Get up to 20,000 BMO Rewards welcome points and a 1.99% introductory interest rate on Balance Transfers for 9 months, 1% fee applies to balance amounts transferred. Get 1 BMO Rewards point for every $1 spent. Earn faster with additional cardholders. Get up to 25% off car rentals at National®#† Car Rental and Alamo®*‡ Rent A Car locations worldwide. It's not a credit card. It's an easy-to-use, secure place to carry up to 10 currencies on one card - and pay like a local in 45 countries. $0: The card is free to buy. Multi-Currency: Load up and hold up to 10 different currencies on the same card. When abroad, the card intelligently pays with the correct currency based on your destination. Reloadable: Reload the card anytime through the web or through the AC conversion mobile app. Funds show up on the card instantly so you can top up your card 24/7. Safety: With CHIP and PIN security the AC conversion card provides a convenient payment method that is not linked to your primary bank account. You could get a 1.99% promotional annual interest rate (“AIR”)† for 10 months on balance transfers✪ [completed within 90 days of account opening], with a fee of 1% of the amount advanced (minimum fee of $7.50). Earn 1 Genuine Rewards Point or every $2 in eligible purchases. Redeem your points for Harley Chrome® Cash‡ to be used at participating Harley-Davidson Canadian retailers. Use your card for eligible purchases and you may be entered in a quarterly Harley-Davidson motorcycle draw. Build or re-build your credit, even if you've had credit difficulties in the past, or have never had a credit card before! An excellent opportunity to establish your credit rating. Make purchases over the phone or online. Plan and book a vacation. Access cash anytime, anywhere from over 1 million ATMs around the world displaying the Visa or Plus logo. Shop at over 24 million locations worldwide. Choose between a monthly fee of $5 or an annual fee of $59. 1 point‡ for every $1 in eligible purchases. 2 points‡ for every $1 spent on eligible gas, groceries and restaurant purchases ($5,000 annual cap on each category). Receive 2,500 bonus points†† after your first eligible purchase within the first 90 days of account opening. Receive 2,500 bonus points†† once enrolled for e-statements within the first 90 days of account opening. Redeem points‡ for travel, brand-name merchandise, gift cards from participating retailers, cash back, and charitable donations. Standard Annual Interest Rates of 19.99% on eligible purchases, 22.99% on balance transfers✪ and access cheques, and 24.99% on cash advances. A suite of comprehensive insurance. Take advantage of an everyday rewards card with no annual fee. Apply now for the MBNA Rewards® credit card. Features and Benefits: purchase protection and extended warranty. Rental vehicle insurance. Get 5% Cash Back†† on eligible gas and grocery purchases for the first 6 months (until the total gas and grocery purchases in the applicable month reaches $500). Get 2% Cash Back‡ on eligible gas and grocery purchases thereafter (until the total gas and grocery purchases in the applicable month reaches $500). Get 1% Cash Back‡ for all other eligible purchases. Earn 1% cash back on gas, grocery and pharmacy store purchases and utility bill payments. Earn 0.5% cash back on all other eligible purchases. Redeem at any time for cash back or merchandise. Earn 20 PC Optimum points6 for every $1 spent at Shoppers Drug Mart®. In addition to the base 15 points all PC Optimum members earn. Bonus of 2 cents per litre in PC Optimum points at Esso stations. Earn 20 PC Optimum points for every $1 spent in Loblaw banner stores and travel services at pctravel.ca. Earn 10 PC Optimum points for every $1 spent everywhere else. New cardholders enjoy a low balance transfer rate of 0.97% for 6 months. Rates, fees and other information are effective as of March 1, 2019. Subject to change. Features and Benefits: Purchase protection and extended warranty. Baggage insurance. Flight delay insurance. Rental vehicle insurance. Travel medical insurance. Trip interruption or cancellation insurance. Travel accident insurance. Avis Rental Car Discount. 2.99% introductory interest rate on balance transfers for the first 6 months (22.99% after that; annual fee $39. Features and Benefits: Purchase protection and extended warranty. Avis Rental Car Discount. Enjoy Complimentary Airport Lounge Access, plus 6 free lounge visits per year. Features and Benefits: baggage insurance. Rental vehicle insurance. Travel accident insurance. Earn one Scotia Rewards point on all eligible everyday purchases. Features and Benefits: Purchase protection and extended warranty. Baggage insurance. Flight delay insurance. Rental vehicle insurance. Travel medical insurance. Trip interruption or cancellation insurance. Travel accident insurance. New! Always get 2x the miles at participating AIR MILES Partners. That’s 2 Miles for every $20 you spend using your Shell AIR MILES MasterCard from BMO. 1 Mile for every $20 in card purchases everywhere else. New American Express® AIR MILES® Credit Card Cardmembers, earn a Welcome Bonus of 500 AIR MILES® Reward Miles when you charge a total of $500 in purchases to your Card within your first three months of Cardmembership. Earn 1 reward mile for every $15 in Card purchases at AIR MILES® Sponsors. Earn 1 reward mile for every $20 in Card purchases you charge to the Card everywhere else. Shop at participating AIR MILES Sponsors across Canada with your Card and show your AIR MILES®* Collector Card, and you can earn reward miles twice. Redeem for a wide range of rewards - everything from electronics to travel and more. No annual fee for Additional cards. New Starwood Preferred Guest®* Credit Card from American Express Cardmembers, earn 50,000 bonus points after you charge $1,500 in purchases to your Card in your first three months of Cardmembership. Features and Benefits: purchase protection and extended warranty. Baggage insurance. Flight delay insurance. Rental vehicle insurance. Travel accident insurance. Standard Annual Interest Rates of 8.99% on purchases, 8.99% on balance transfers✪ and access cheques, and 24.99% on cash advances. You could get a 0% promotional annual interest rate ("AIR")† for 6 months on balance transfers✪ completed within 90 days of account opening, with a fee of 1% of the amount advanced (minimum fee of $7.50). Limited time offer, apply online by December 31, 2018. Access to 24/7 customer service. Standard Annual Interest Rates of 12.99% on eligible purchases, 12.99% on balance transfers✪ and access cheques, and 24.99% on cash advances. Immediate cash access at over 1 million ATMs internationally. On a basic level, all a credit card needs to do is serve as your access point to your line of credit. However, if you settle for the basics, you’ll be missing out on a whole host of perks that many cards now offer. The Canadian credit market is hotter than ever right now, and consumers who know what they’re doing have an opportunity to secure some great deals for themselves when applying for their next credit card. We’ve collected lists of the best credit cards Canada has out there; all you have to do is choose one. You know you’re going to be carrying a credit card no matter what, so you have to make a decision regardless. By strategically choosing one that offers bonuses or features that you want, you can make your money go further without lifting a finger yourself. Just do what you normally do, and your credit card will either rack up rewards for you or cost you less in fees than it normally would. Doesn’t that sound great? 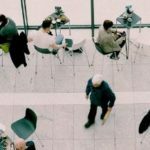 There are several considerations someone might have in mind when choosing a credit card, and which of them matter most to you depends on what your life and spending habits look like. For some people, a great card is one with a small or non-existent annual fee, or with very low interest rates on balances carried over more than one billing period. These cards minimize the amount it costs you to have access to credit, which makes them perfect for people on tight budgets who need reliable ways to stretch every penny. 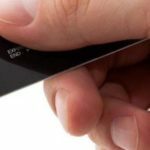 Although they might let you achieve significant savings compared to other cards, prioritizing this aspect of your credit cards will often come at the cost of getting rewards for your purchases. 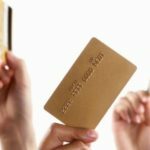 These cards are still beneficial if you are very cost-conscious or use your card fairly infrequently, but you should consider other criteria if possible to ensure that you aren’t missing out. Travel credit cards are excellent for those who enjoy regular vacations or like to visit far-away family. Many budget-conscious people enjoy cards that give them free gas, since that is a daily necessity that they then do not have to worry about accounting for themselves. The retailer-specific points can be excellent for frequent shoppers, especially if the store in question sells many types of merchandise. Finally, cash-back cards are universally popular because their rewards can be used for anything a person wants. Reward accumulation is usually based on a percentage of your spending and may be locked to certain categories like groceries or recurring bills. 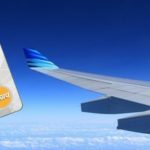 These cards are exciting because they provide tangible bonuses, but proceed with some caution: virtually all reward cards carry an annual fee, though it’s perfectly possible to receive much more in reward compensation than what you pay. 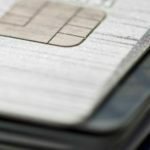 How large of a fee is acceptable to you will depend on how much you regularly charge to the card. If it’s a card with designated reward categories, you should make sure that they line up with your highest spending categories. Other than affordability and rewards from top credit cards Canada, you can get a lot more. Below are some of the benefits you get from using the top credit card in Canada. Credit cards offer the option of extending warranties and protection of any purchases made. They offer protection when a problem arises with the product purchased. In addition, most credit cards extend the manufacturer’s warranties, therefore, protection on your purchases. Other top credit cards offer warranty for products not covered by one hence if a product gets damaged, the credit card issuer replaces the product for you. Other credit cards offer purchase price protection. This is where when you purchase a product then the store where you bought the product decides to lower the price within a certain period after you purchase the product, the credit card provider refunds you the price difference. This ensures that all your purchases are protected and you might end up spending less than you anticipated. One thing that is common with all the top credit cards is that you are not liable to any unauthorized purchases made using your card. 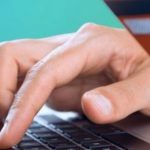 Credit card companies are a great line of defense between you and fraudsters, therefore, the best way to protect yourself when making any purchases online. As compared to debit cards, credit cards allow you to continue with your purchases even when your card has been used without your authorization because it does not affect your account balance. Other than unauthorized purchases, you might have made a purchase on a store but for some reason, the purchase was not as you expected and need a refund. If the store refuses to refund the money, you can always ask the credit card company to reverse your purchase, hence get your money back. Credit cards are therefore among the best line of defense when it comes to purchasing products or services. However, before signing up to any credit card, we recommend that you read and understand the terms and condition to see if they are suitable and if they provide the right amount of protection. How do you qualify for the top credit cards Canada? Basic personal information that includes name, date of birth (should be 18 years and above), physical address and social insurance number (SIN). 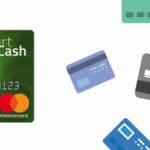 Details of other credit cards you are currently using or used in the past. Understand the terms and condition for a specific card before applying. Different cards come with different terms that include fees, interest rates, rewards, penalties, and protection. Understanding all these will help you understand what you are getting into before making the plunge. Always make sure you understand each one of them and if not, you have the option of getting clarification from the card issuer. This is the only way to make sure that you protect yourself from financial constraints. Use the credit cards for the purpose of building your credit score. Credit cards if used responsibly are great at improving one’s credit score. All you need to do is make sure that you make purchases using the card and make timely payments of the monthly bill. Also, ensure that you make full payment of these amounts. Credit card issuers report your payment progress to credit reporting agencies which determines your credit score. You can opt to automate your monthly bill payment where the payment goes directly from your bank account hence eliminating the human error of forgetting. You can also schedule on your calendar to make sure you do not forget. Having one of the top credit cards Canada eases the financial burden and takes care of emergencies when they arise. However, they need careful usage to get the best out of them. Therefore, whenever you take one, it is important to use it responsibly and only when it is necessary. 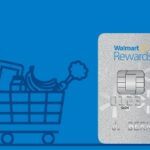 Could You Use the Walmart Rewards Card?